The fix works perfectly. Thanks for the maintenance on your beautiful themes, Frank. jimfitter wrote: The fix works perfectly. Thanks for the maintenance on your beautiful themes, Frank. It's what I made in the early days when I had no idea what I was going to use in that area, so did this as a 'placeholder'. I too, will say thank you, Frank. Your little bits of "fog reducing" code fixed my "faded/ghostly" text problem in v30. Updates for all 4 ML Australis themes now done and passed through AMO review. If you're not on auto, then just right click each theme and select 'Check for updates'. You might wonder (probably won't though) why these updates took so long, if it was just that one change above. It's because I also have to redo all the version info/compat, etc on the multi-package install bundles (don't ask) and you have to get it exactly right and it is incredibly mind numbingly dull to do. So, next time a theme author seems a bit slow on doing updates...you'll now know the real reason why. It all looks good, Frank. Again, thanks for the maintenance on your beautiful themes. jimfitter wrote: It all looks good, Frank. Again, thanks for the maintenance on your beautiful themes. 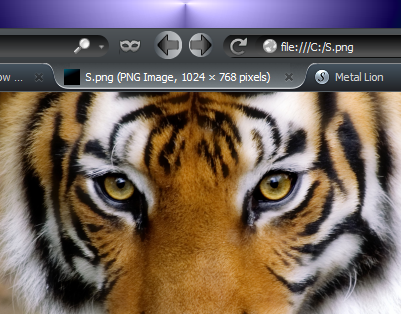 Just been looking at Firefox 36, which will not be out for a while. Amazingly, we now have 5 new toolbar buttons appearing since these themes first came out. A couple pop up in 34 and 3 more in this one. No problem there, they all show up and work as they should in these themes, albeit in the size and colour that the default theme use. I'll give it a week or so in case they add any more and then style the lot. Unlike the old days, with this new theme coding template I use these days, that will not take long. ...in userChrome.css and you're done. Status - PASSED AMO review and available. The new search behaviour also added a new 'Search' icon to the Options Panel. That's fine, except that they just added a new single image, instead of adding the image to the end of the existing Options.png that shows the rest of them there. Proper fix will be added to next update round. Joke's a joke, but you go to the same websites every day which have their own search engines and get that damn thing popping up every time! I get it, it has a Search engine, now **** off already! That code will vanish it out of the searchbar, but it will still show in the dropdown as a more 'gentle' reminder. As you can imagine, there are loads of things I would change about Firefox and indeed I do, but theme-wise only ever by adding features/functionality, never by removing them. There's been enough people imposing their personal preferences onto the default Firefox, without me doing exactly the same. So, on my themes I don't get rid of things I don't like ...but you can. Last edited by Frank Lion on April 12th, 2015, 5:00 am, edited 1 time in total. Funny thing is, they completely removed all of the code for that 5 years ago... and then for some reason brought it back. Mystery of mysteries. Next update for these will be out within the next three weeks. Thanks Frank, just got the whole 'set' updated via 'check for updates'..